Older prescriptions in our homes can cause all sorts of problems, not the least of which are abuse and addiction. Rushford Medical Director Dr. J. Craig Allen explains how getting old or expired medications out of your house responsibly can help fight the nation’s opioid crisis. Q: You see what happens when prescription medications get into the wrong hands. How common is it for children or teens to take pills from a medicine cabinet intended for someone else? A: More than half of the opioid medications adolescents get they get for free from friends and family. And 80% of new heroin users first started by using opioid analgesic pills. It’s important to dispose of any unused pills and it’s important to store pills you are using safely. A recent study showed there’s been a tripling of overdose deaths in adolescents and children all related to the increased exposure and access they have to these drugs. Q: Tell us about treatments offered at Hartford HealthCare, including MATCH (Medication Assisted Treatment Close to Home). A: Medication assisted treatment close to home, MATCH clinics offer medication, psychotherapy and other treatment options all under one roof. They were designed to knowing that people have busy lives and work and family obligations. Flexible and effective treatment is offered in a supportive setting in a nearby location. 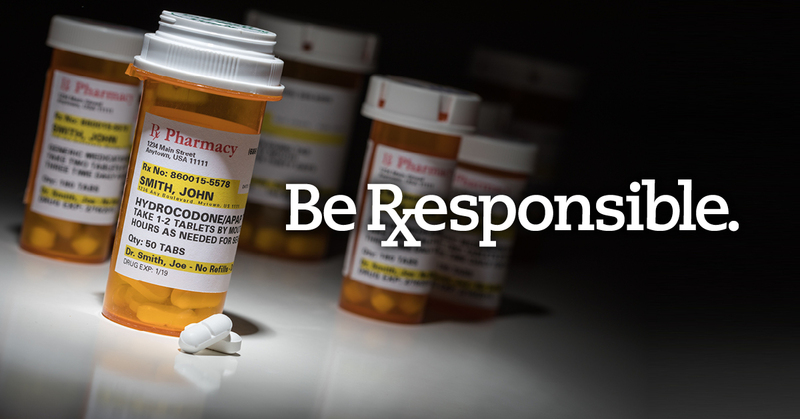 Q: Tell us about the “Be Rxesponsible” campaign. A: This campaign is truly a win-win. It is about disposing of unused, unwanted and expired medications safely, and in a way that is not harmful to the environment. We are giving away drug de-activation kits which allow the user to fill a biodegradable bag with pills, add warm water and then simply throw the bag in the garbage. You should never flush pills down the toilet because of the harm it causes to the environment and you should never leave them in the house because they could end up in the wrong hands. Q: What should someone do if they are worried there may be a problem with prescription drug use? A: If you are concerned about yourself or someone you love developing a problem with prescription drugs, talk to your primary care physician, or connect with MATCH for an assessment. For more information on the MATCH program for addiction, click here or call 1-855-825-4026. If you wish to remove drugs from your home responsibly, visit BeRXesponsible.org for a FREE drug deactivation kit.